Line Break is here again! 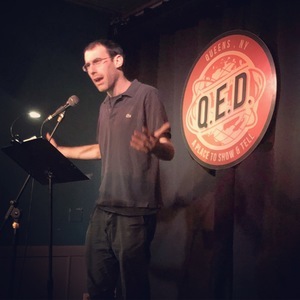 It's the eclectic monthly live literary magazine where poetry meets prose, fact meets fiction, and high-brow meets low-brow, this time in a special Special Sunday Edition in Astoria, Queens. 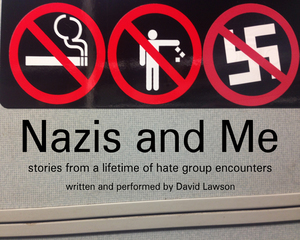 Don't miss David Lawson's one-man show "Nazis and Me"
Hey, Line Break fans! If you were at our show on October 6th, you heard powerful excerpts from David Lawson's new one-man show, Nazis and Me. And even if you weren't there, you won't want to miss this thought-provoking performance about run-ins with hate set in a time where hateful Americans feel a strong sense of comfort: right now. Nazis and Me debuts tonight at Under St. Marks in Manhattan's East Village, with subsequent performances October 16th, November 6th, and November 13th. Grab your tickets now! It's almost as satisfying as punching a Nazi. Thanks for making Line Break #23 so memorable! A gigantic thanks to everyone who turned out for the twenty-third regular episode of Line Break this past Saturday, at beautiful Q.E.D. in Astoria, Queens. Just by showing up and giving us the gift of your attention, you helped make the afternoon bigger and better than it would have been without you. Thanks as always to Q.E.D. for giving us the space and an opportunity to use it. And thanks especially to our amazing readers, who made it the fantastic show it turned out to be. Malcolm Chang took us inside the 1966 assassination of South African prime minister Hendrik Verwoerd. Joshua Tong shared poetry spanning the lines between English, Chinese and Singlish. Attorney Peter Bryce explicated a long line moral failings in decisions of the Supreme Court. 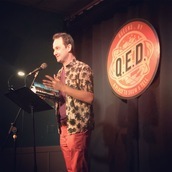 Host William Shunn delivered a bit of poetry for social justice. Connor Coyne tantalized us with the opening from his brand-new novel, Urbantasm: The Hidden City. And finally, the inimitable David Lawson performed provocative excerpts from his new one-man show, Nazis and Me. If you couldn't make it out on Saturday, please mark your calendar for the special date of Sunday, November 4th, when we'll we back with our twenty-fourth issue, featuring Eleanor Lerman, Susana H. Case, Sarah Riccio, Oscar Sanders, and more. Reminder: Line Break #23 is this Saturday afternoon! Saturday, October 6, 2018, 3:00-4:30 p.m.
Peter Bryce is an attorney, entrepreneur and essayist. According to numerous sources, he is able to control the outcome of games of chance with his mind. 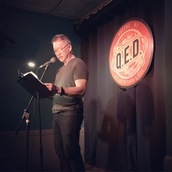 Please join Pete and all our outstanding readers for Line Break #23, Saturday, October 6, 3:00 p.m. at Q.E.D. in Astoria. Tickets are only 7 bucks! 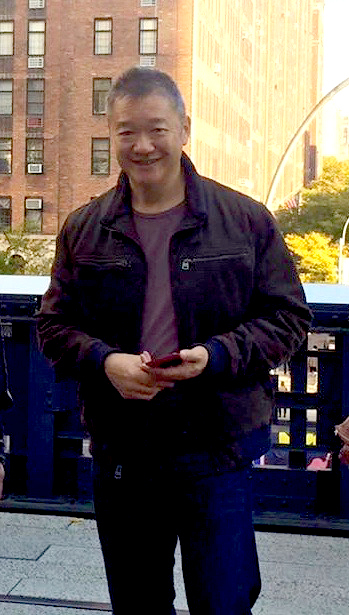 Malcolm Chang has been a lawyer, editor and food entrepreneur. His writing has appeared in Newtown Literary and Elle Magazine (S.A.). He has performed his work at First Tuesdays, Line Break and Queen Writers Resist. His debut story, "The Cruelty of Children," was nominated for a Pushcart Prize. He is an Artist Peer Circle moderator for the Queens Council On the Arts and the current president of the board of directors of the Newtown Literary Alliance. 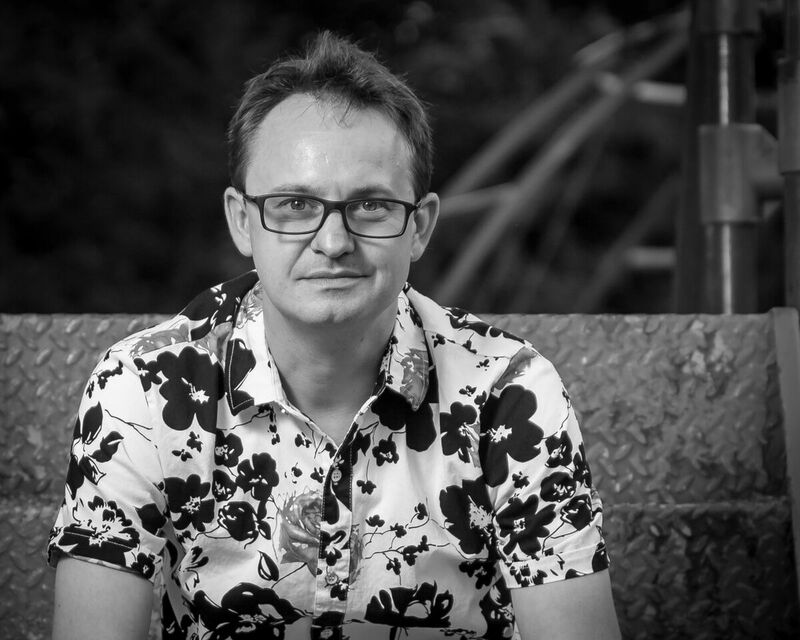 His current project is the novel Dimitri and the Worm, the story of the assassination of South African prime minister Hendrik Verwoerd in 1966. 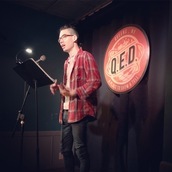 Please join Malcolm and all our tremendous readers for Line Break #23, Saturday, October 6, 3:00 p.m. at Q.E.D. in Astoria. Tickets are only 7 bucks! 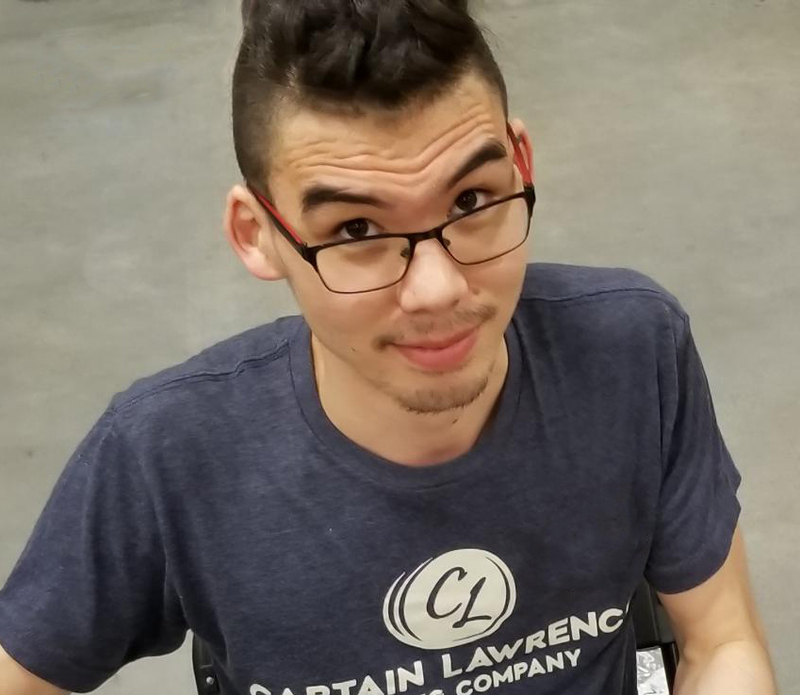 Joshua Tong is a mixed-race twenty-something who grew up in South Carolina, in Singapore, and on a ship, but now feels oddly normal living in New York where he graduated from NYU Gallatin with a concentration in Narrative (Re)Construction. He tells stories. Joshua is also a writer and director of shorts and webseries including The Conduits and The Invincible Osiris Jackson. His work has been featured in the Urban Action Showcase, Super Geek Film Festival, and Los Angeles Cinefest, among others. In what little free time he has left, Joshua maintains the weekly blog Essays, Not Rants! where he rambles on about whatever pop-culture thing he wants. You can find more of his thoughts on his Twitter. 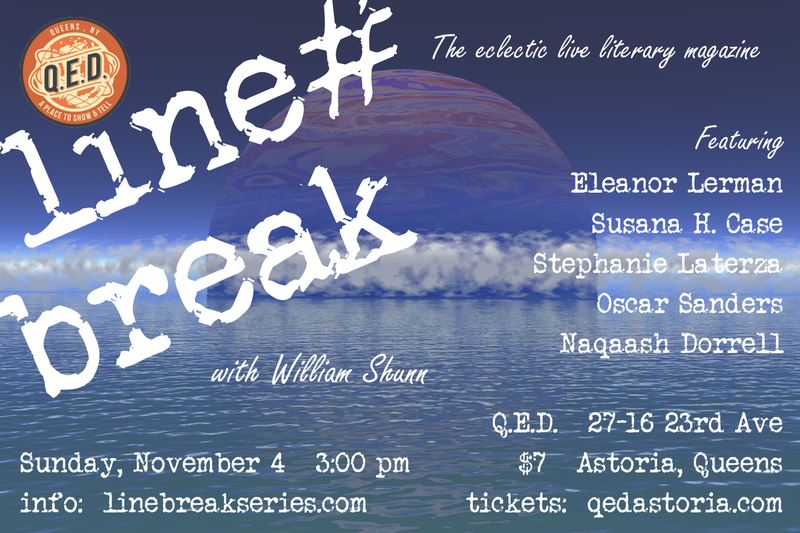 Please join Joshua and all our world-class readers for Line Break #23, Saturday, October 6, 3:00 p.m. at Q.E.D. in Astoria. Tickets are only 7 bucks! For over ten years, David Lawson has performed one-man shows all around New York and across the nation about things such as working on the streets of Times Square (Flyer Guy), sleeplessness and outer space (Insomnia in Space), 9/11 from a Washington DC perspective (Floundering About), video games (No Oddjob), and more. For over four years he's hosted the monthly Astoria Bookshop Storytelling Show. Learn more at dtlawson.com. 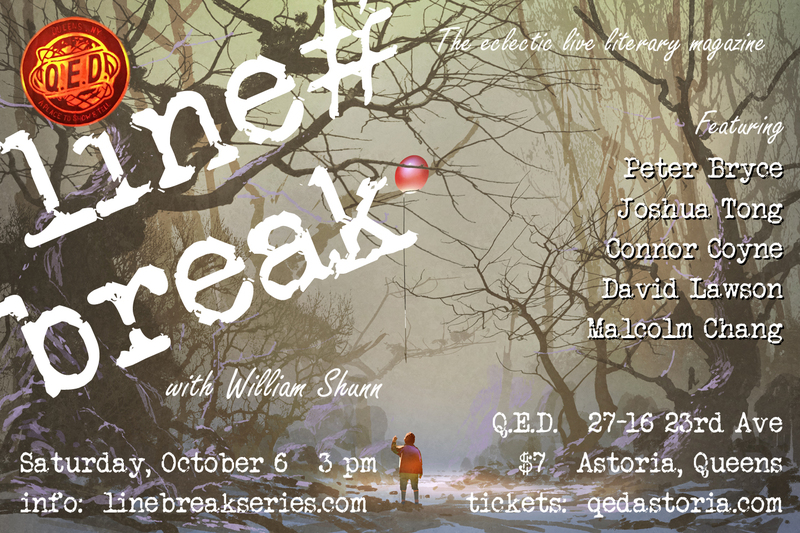 Please join David and all our world-class readers for Line Break #23, Saturday, October 6, 3:00 p.m. at Q.E.D. in Astoria. Tickets are only 7 bucks! 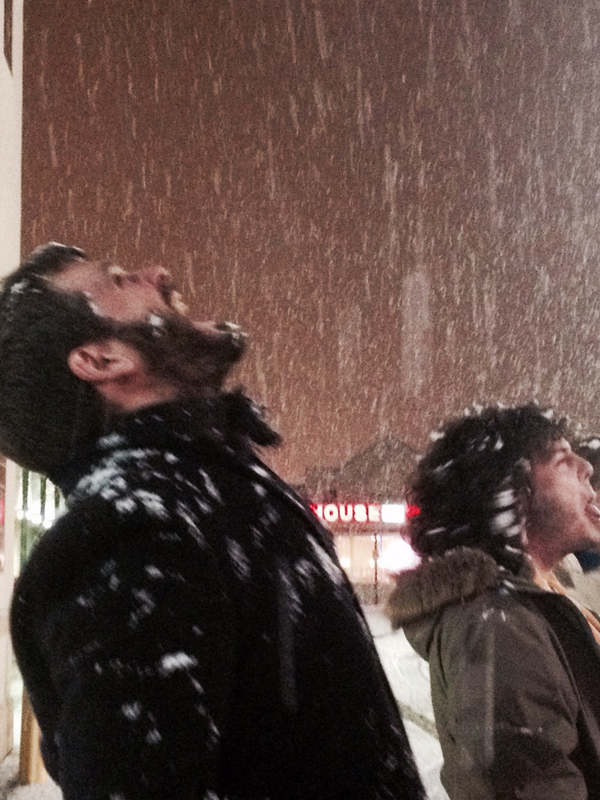 Connor Coyne is a writer living and working in Flint, Michigan. He has written three novels: Urbantasm, a serial novel, Hungry Rats, and Shattering Glass, as well as Atlas, a collection of short stories. His essay "Bathtime" is included in the Picador anthology Voices from the Rust Belt. 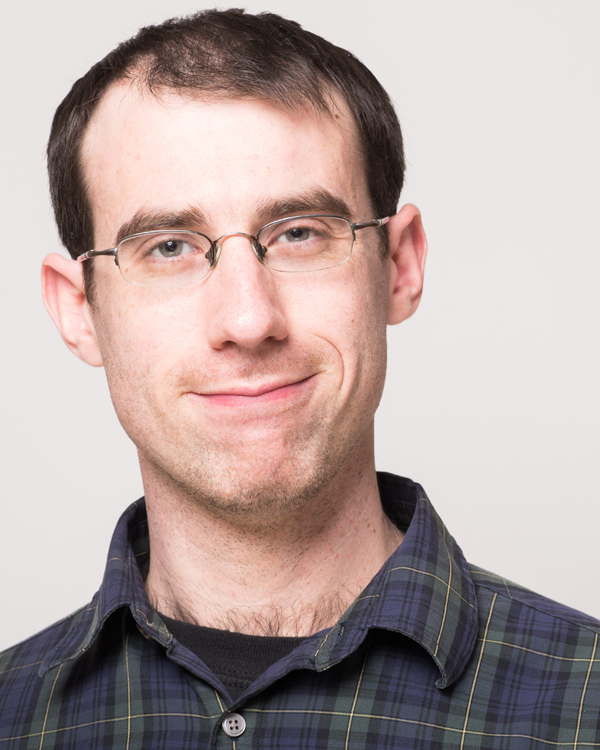 Connor's work has been published in Vox, Belt Magazine, Santa Clara Review, and elsewhere. Connor is on the planning committee for the Flint Literary Festival and represented Flint's 7th Ward for the 2013 NEA Our Town grant. Connor lives with his family in Flint's East Village, less than a mile from the house where he grew up. He is also the founder of Tuesday Funk, the long-running Chicago literary reading series that spawned Line Break. 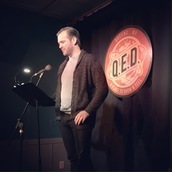 Please join Connor and all our incredible readers for Line Break #23, Saturday, October 6, 3:00 p.m. at Q.E.D. in Astoria. Tickets are only 7 bucks!